Implementation of the "Win-Win-Win" principle according to which any mutually beneficial cooperation between the two parties (Win-Win) should be beneficial, and the effect of synergy and the third party - the society (Win). 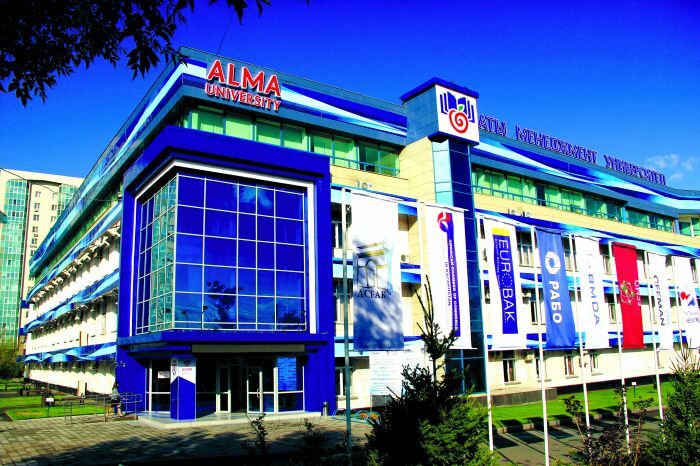 University promotes the philosophy of freedom of the spirit, thoughts and words, the value of the balance of work and life. We hold high the foundations of academic, research and entrepreneurial freedom. The success of the university depends on the team of people, its composition, professionalism, efficiency, solidarity, focus on results and synergy. Result: a new generation of change leaders open to new challenges, with social responsibility, creativity and strategic thinking. Result: development of business culture, entrepreneurial education in Kazakhstan: promotion of academic programs on entrepreneurship, creation of an effective business ecosystem in the country's economy. dialogue platforms between businesses, the state, formation by a society. Result: the development of the university’s Team, the creators of creativity and synergy culture, the class of creators with entrepreneurial thinking and high social responsibility, initiating and implementing changes.